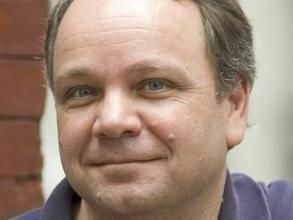 Civilization designer and veteran god game developer Sid Meier gave one of the final keynote speeches at this years' Games Developers Conference in San Francisco, explaining his thoughts on what drives his players and how his thinking on player psychology has changed over time. Meier talked of the "unholy alliance" between the player's suspension of disbelief and the designer's willingness to defy both logic and the laws of maths to satisfy the player's expectations. "A lot of what I thought I knew was wrong," said the Civilization designer. "And the reason was because I really hadn't taken into account what really happens in the player's game." Meier, the Director of Creative Development at Firaxis Games, stressed that it is crucial to give players the feeling of winning and to make the first 15 minutes "really compelling, really fun - almost a foreshadowing of all the cool stuff that's going to happen later in the game. "These rewards are really a way of making the player feel comfortable in this world, of letting them know they're on the right track.… You can almost not reward the player enough in the early stages of the game. "Players are very much inclined to accept anything you give them gladly and feel it was their own clever play, their own incredibly strategy that earned them that cool reward. On other hand, if something bad happens to the player, your game is broken, there's something horribly wrong, the game is cheating. It's really important to be very careful with the setbacks the player experiences." "What we found was, just at the cusp of the crumble, most players would reload a save game. They would never experience the glorious rerise that we had in mind for them."